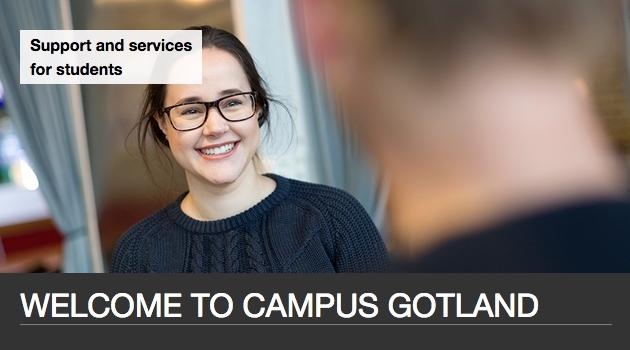 The look has now changed on Campus Gotland’s website and at the same time, it has also become mobile friendly. has become responsive to adapt to mobile phones (in other words, it will be much easier to visit if you are using a mobile phone than was previously the case). We hope that the new website will be a good experience, but we would like to take the opportunity to ask for your understanding if there may be small issues on the website at first. If you run into problems or discover faults related to the website, please let us know by e-mail to dag.lanestedt@uadm.uu.se. You can also send us your opinions, good or bad, regarding the revamped website.